Last year was all about new beginnings, the “1” year. Curiously, as the universe would have it, the new beginnings were not what I hoped for on one hand, and on the other, they were beyond my wildest dreams. The grandchild we so eagerly awaited chose not to be born; with my father’s passing and my mother’s relocation, my role as caretaker yielded to an empty space that’s now beginning to fill. National and world events – completely out of my hands – have provided a deep lesson in humility. 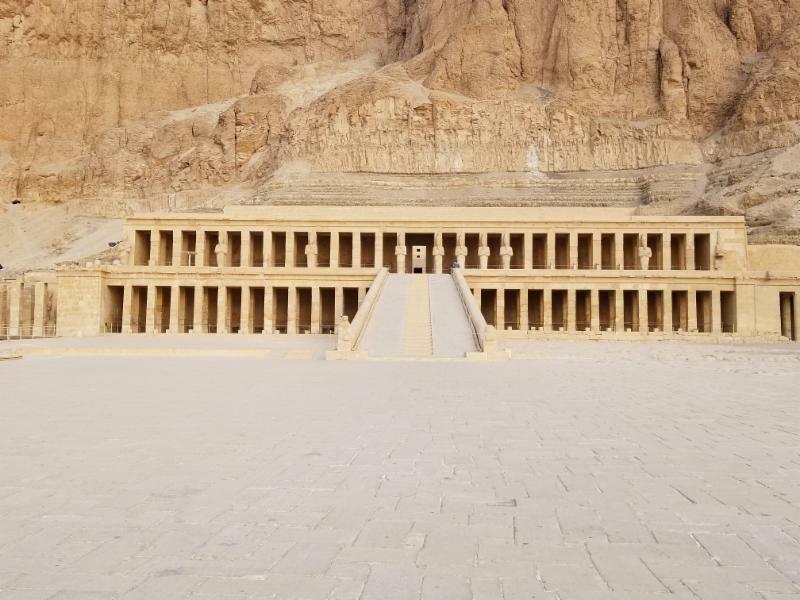 Temple of Queen Hatshepsut, I was told, “You have been delivered to your mother!” Reuniting with the living energy of Isis, Hathor, Horus, the kings and queens, the Sphinx, great pyramids and more, my heart and soul filled with hope and enthusiasm for what is yet to come. 2018 is the “2” year of co-creation. For some, this may harken an earthly partnership; for others, a deepening of trust in Spirit. For me, it’s a bit of both as I am told Spirit will guide me to new and exciting places; and I must be ready to move when the timing is right. This does not mean sit back and wait on the will of Heaven but rather roll up one’s sleeves and push ahead to co-create as we partner with each other and with Spirit.